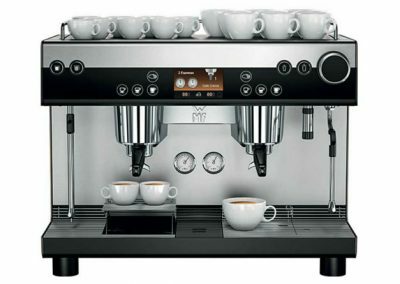 The WMF 9000 S+ is an outstanding machine in every respect. 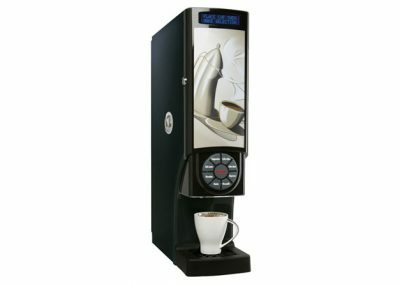 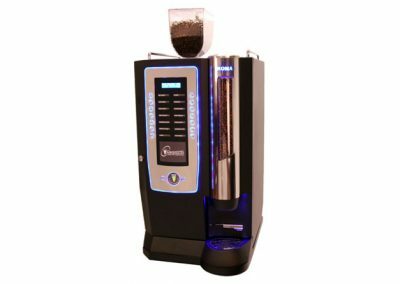 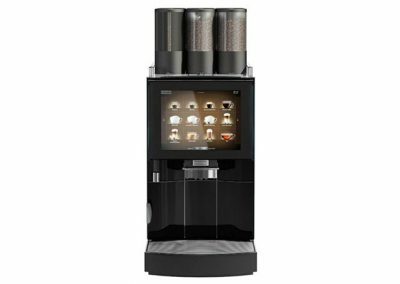 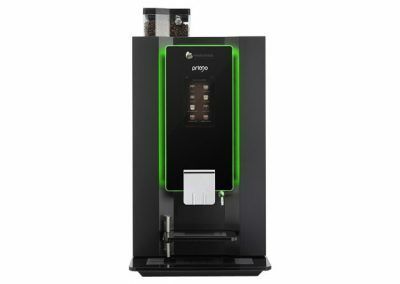 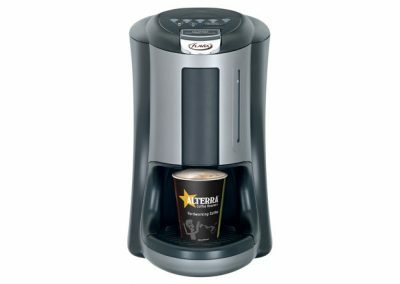 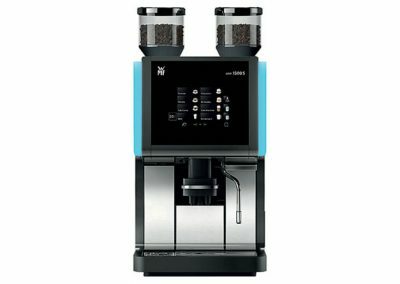 With a fresh bean grinder and fresh milk option it is possible to match any coffee house cappuccino, espresso, or latte in addition to the 9000’s own menu including ‘milk chocolate’ and ‘chociatto’ specialty drinks. 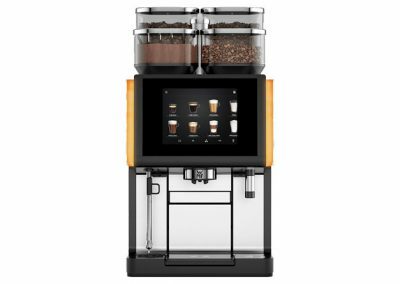 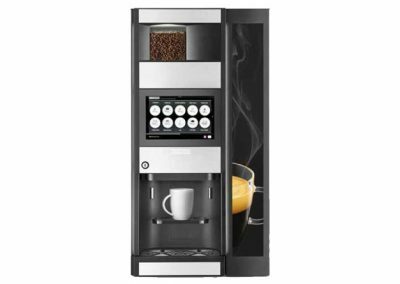 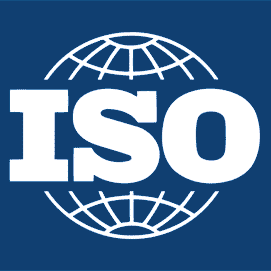 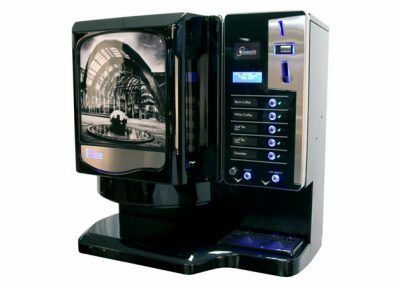 Typical installations for the 9000 S+ include the breakfast room of a premium hotel, an artisan town bakery or a blue chip corporation. 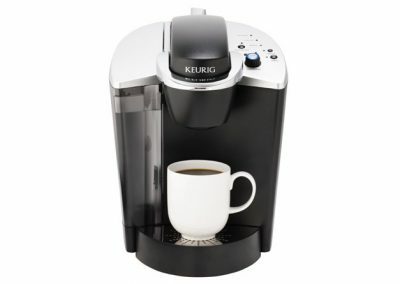 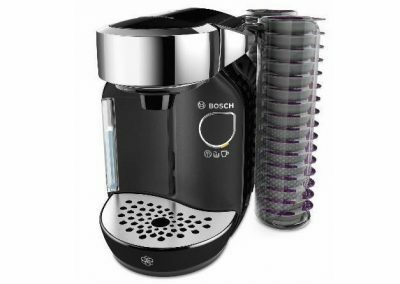 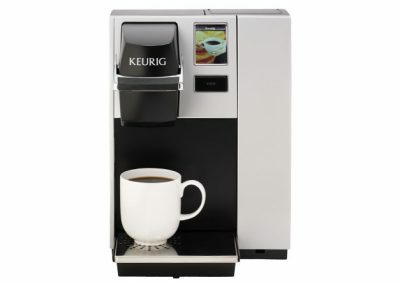 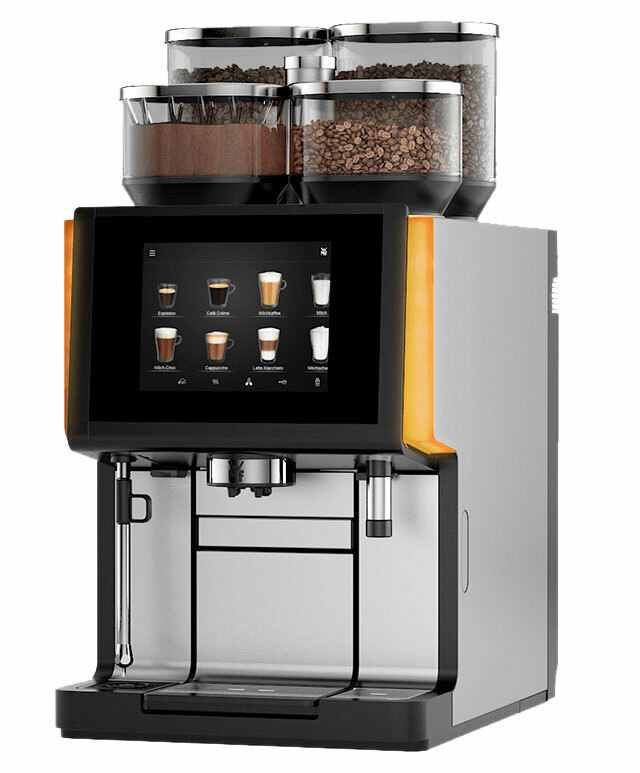 The four hopper system is easily accessible for refilling. 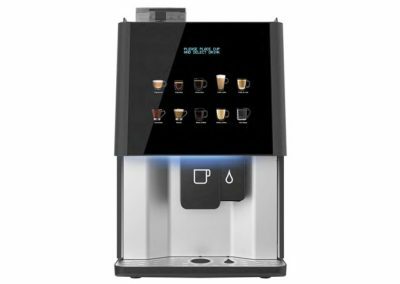 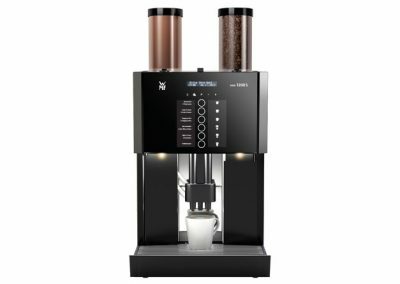 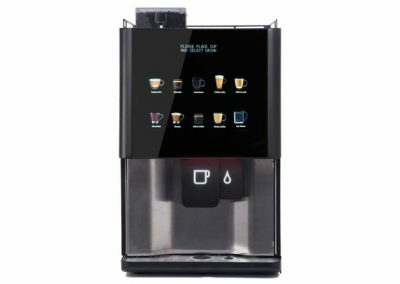 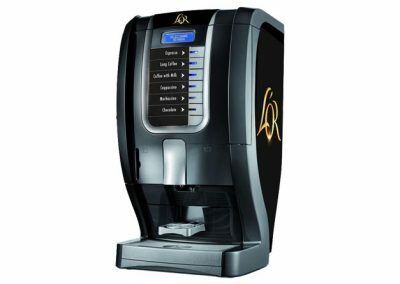 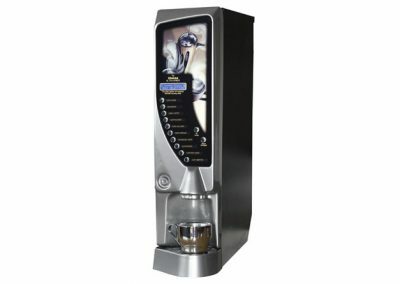 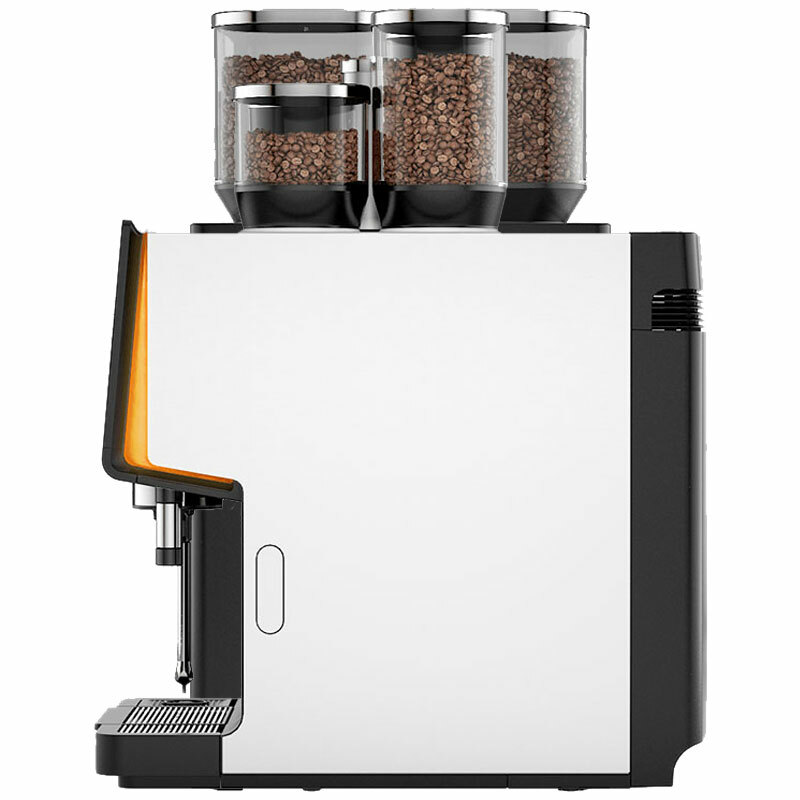 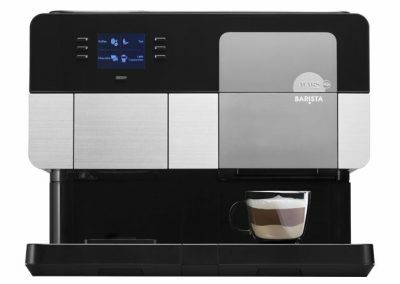 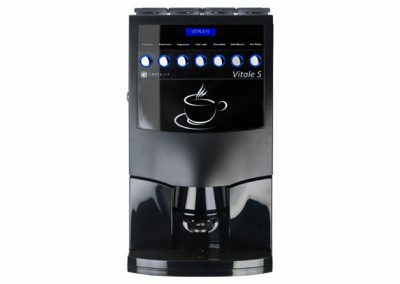 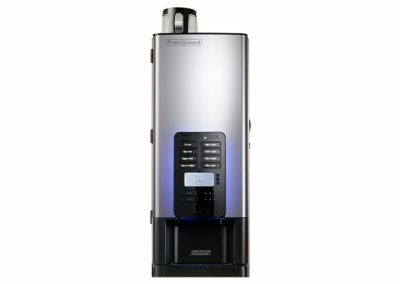 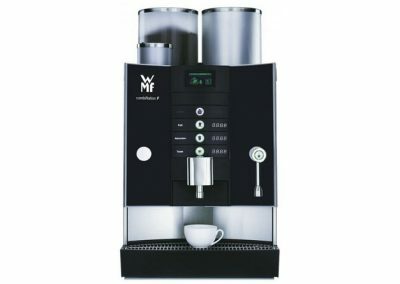 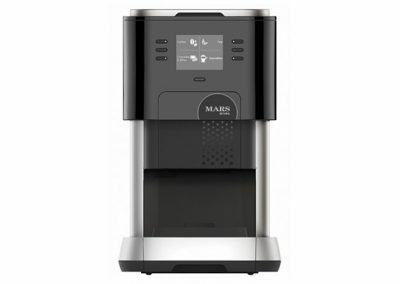 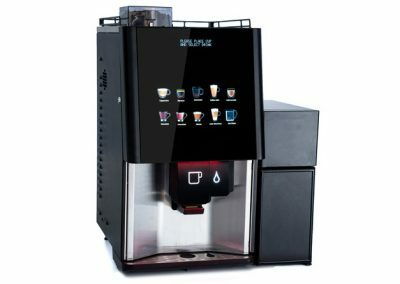 The 9000 S+ features the excellent WMF Dynamic Milk system with a choice of Easy Steam or Auto Steam according to the level of control or ease of use required. 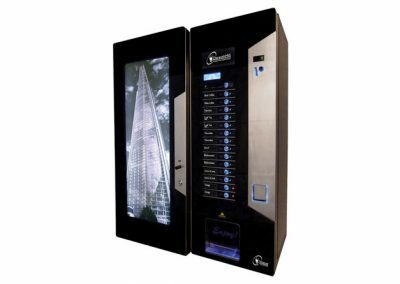 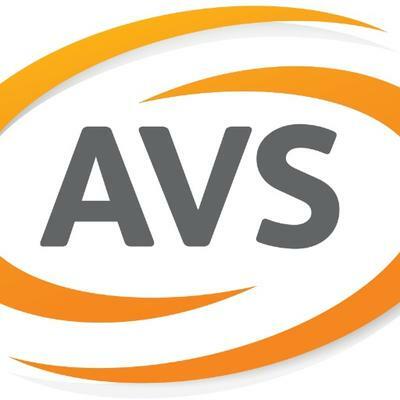 The touch screen selection system can also be used to display advertising, brand information or staff information. 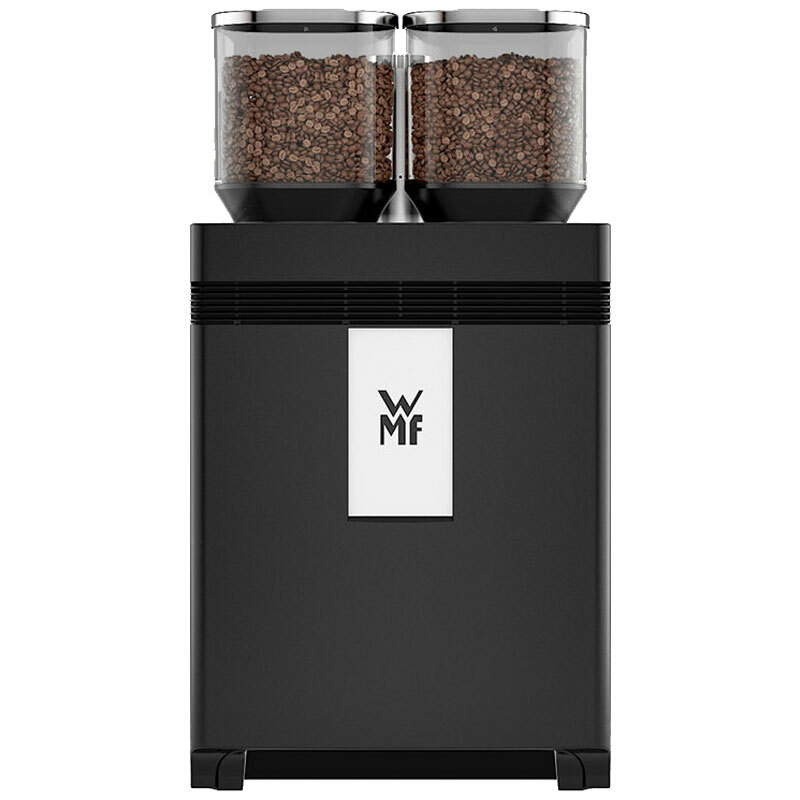 The WMF 9000 S+ is the choice for the most discerning of customers.